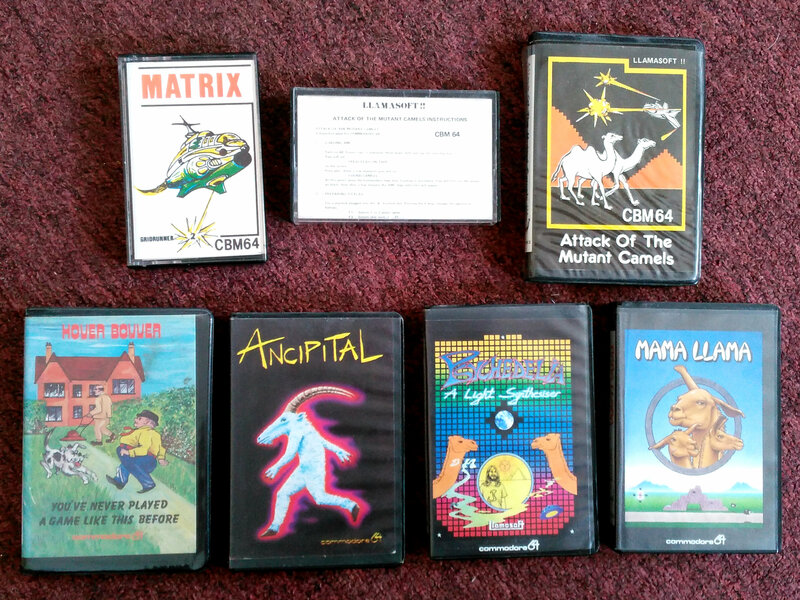 These six games are all original 5+1/4″ floppy disks in their original packaging, each including its manual. They’ve not been used in probably a quarter of a century so I don’t know whether the magnetic media have degraded — they are sold on an “as is” basis. I’ll be perfectly happy to sell them for 1p, I just want them to have the chance of going to someone who wants them instead of being junked, since they have some historic or nostalgia value. If you want them, head over to the auction. You’ll most likely be the only bidder. If you’re interested, head over to the auction. 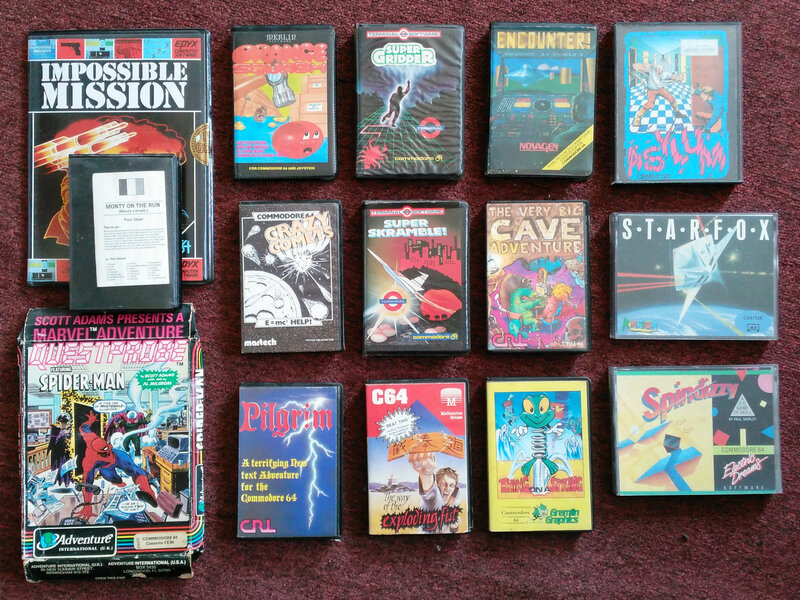 If you’re interested, head over to the auction, which lists all the games. … and now I am involuntarily humming the Thing on a Spring theme music. 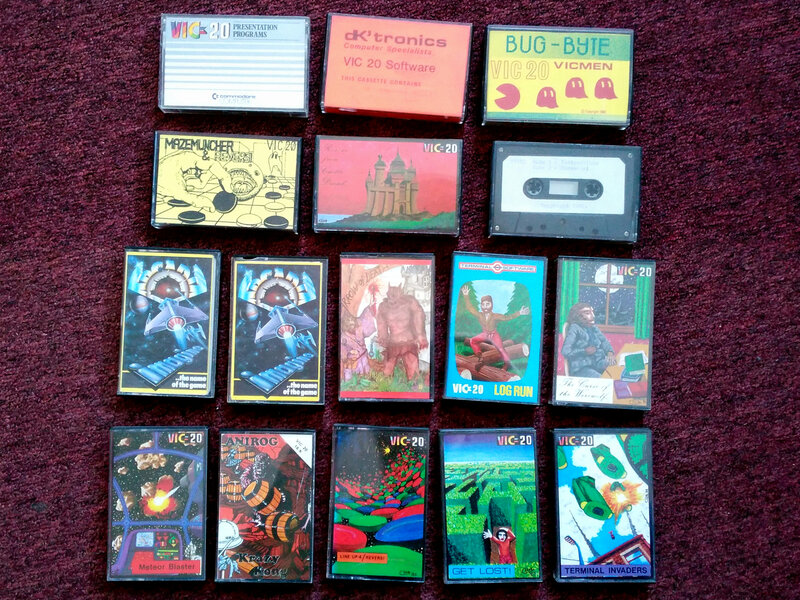 And here is the fourth and final set of Commodore 64 games: thirty of them this time, all cassettes in their original packaging, all available as a single bulk lot. Full details, including a listing, at the auction. I’m pretty sure that the dK’tronics tape includes some of Jeff “Yak The Hairy” Minter’s earliest published work: at least, I remember that in one game you have to protect an alien ambassador which is clearly a llama. 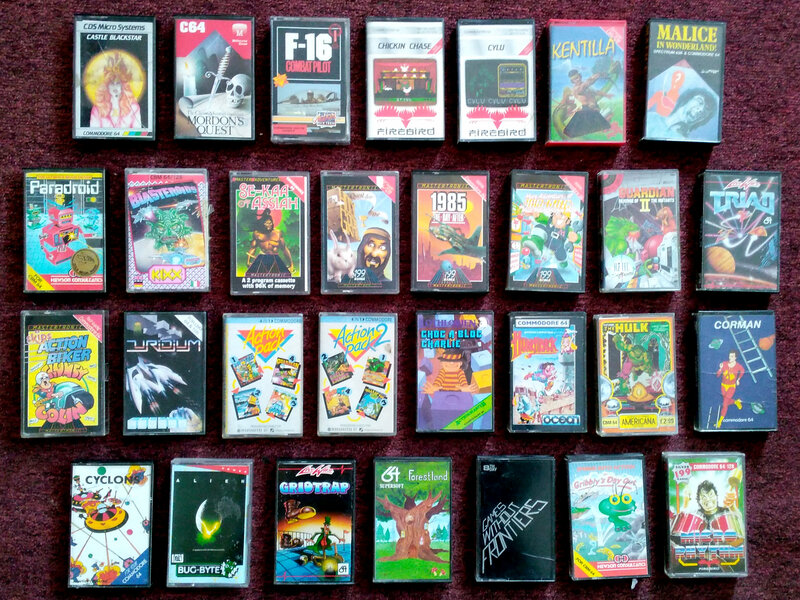 I realised I’d missed two of my VIC-20 games from that auction — the two that are on cartridges rather than cassettes — so I made a final auction for them. 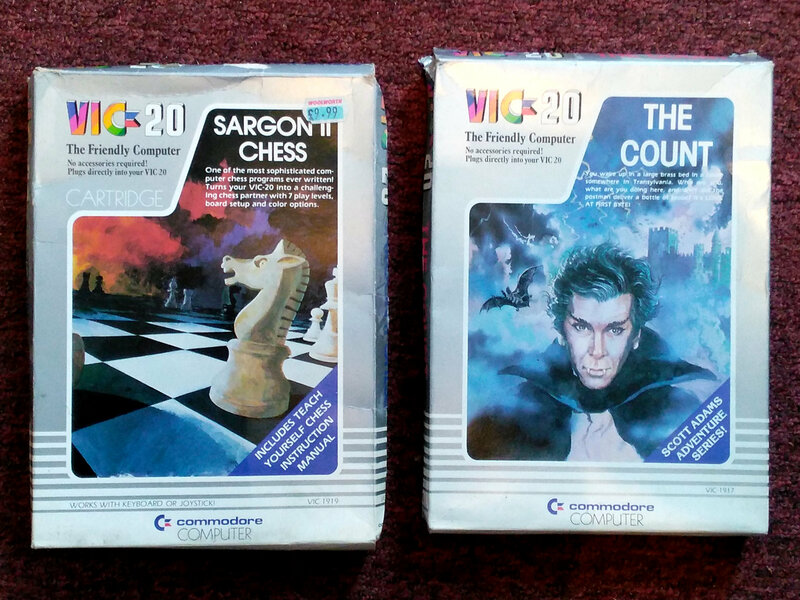 So if for some reason you want a copy of Sargon II chess, or Scott Adams’ adventure The Count, you know where to get them! This entry was posted in decluttering, Games, Infocom, interactive fiction. Bookmark the permalink. 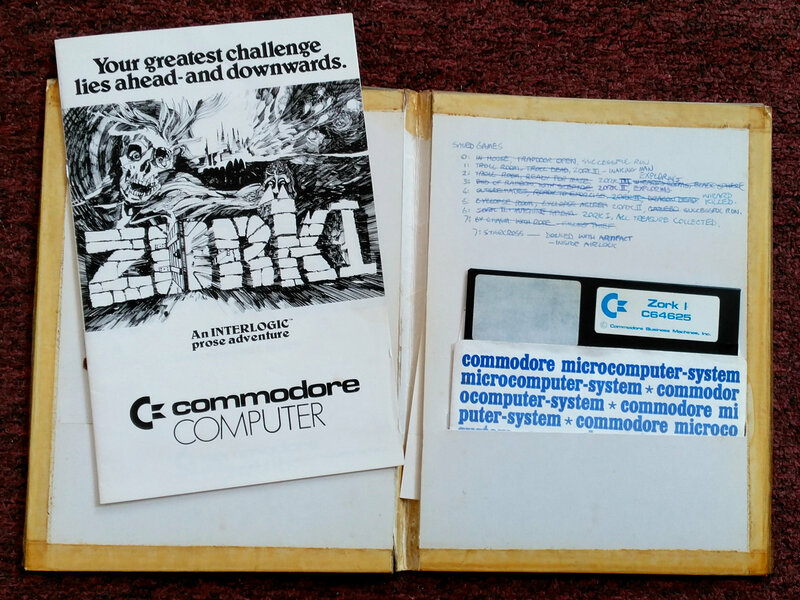 Retro computer games are really “in” at the moment, can’t imagine there won’t be somebody up for that. Personally, I would just want to use a Commode 64 as the firelighter for a bonfire as my cousins were so bloody smug about their C64 compared to my “Mickey Mouse” Dragon. I think the reason it hurt so much is that they were right: the Dragon had an awesome CPU, but a completely rubbish Basic (yeah, my first experience of Microsoft, and “why isn’t it as good as BBC Basic” kind of set the scene for forever), a weak graphics card and a can’t-be-arsed 6-bit D-A converter for sound sealed its fate as Not A Good Games Console, which is actually all anybody really wanted. Unless the wanted to do programming, in which case they didn’t want to do it using Microsoft Basic. How my friends laughed at the “?SN ERROR” because it was too stupid to write it out in full, or in mixed-case. Ahem. I’m sure I heard a rumour that you used to have a TRS80? 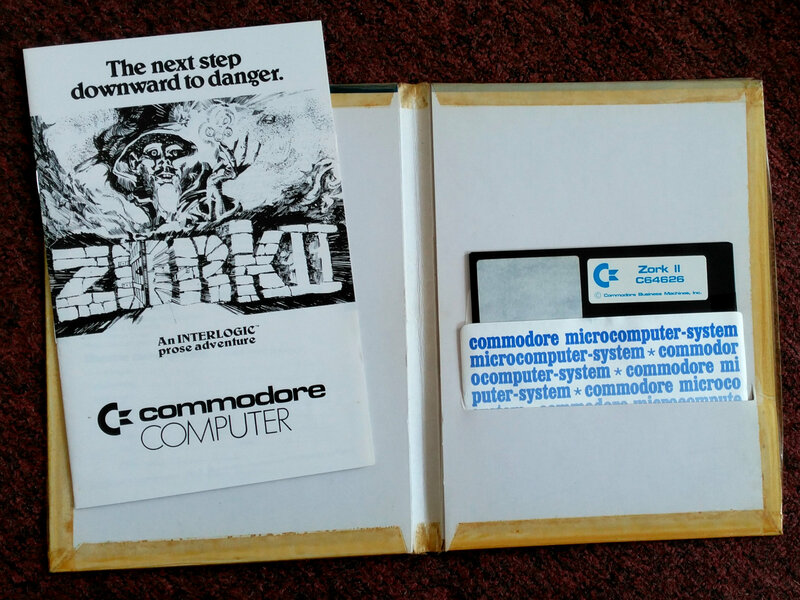 That was my first computing crush, until I finally realised they were pretty much as unaffordable as an Apple II, just made more badly. Theres still a fairly vibrant text adventure crowd (writing new text adventures no less), and the Infocom tech (look up ‘zmachine’) is still being expanded upon. Amazing after all these years. FWIW, you can get the games free legally now, I believe; you could always run them in an emulator (C64, Amiga, Atari ST, PC, etc etc), or just get the game file (a story.dat or somesuch, memory fails) and feed it into any modern zmachine interpreter (open source freeware); so you can quite legally fire most Infocom games up, on your phone or tablet or modern machine, no problem. Delighted to see your bid, Nix! I do hate to throw things out if they’d be of use to someone else. Vometia, never owned a TRS-80; but the two machines I learned to program on, neither of them my own, were a PET 2001 and a Video Genie, which was basically a TRS-80 in a nicer box. Read more if you’re interested. Jeff, I followed the Interactive Fiction scene for a while, and started work on one or two games in Inform in 2003 before losing momentum. 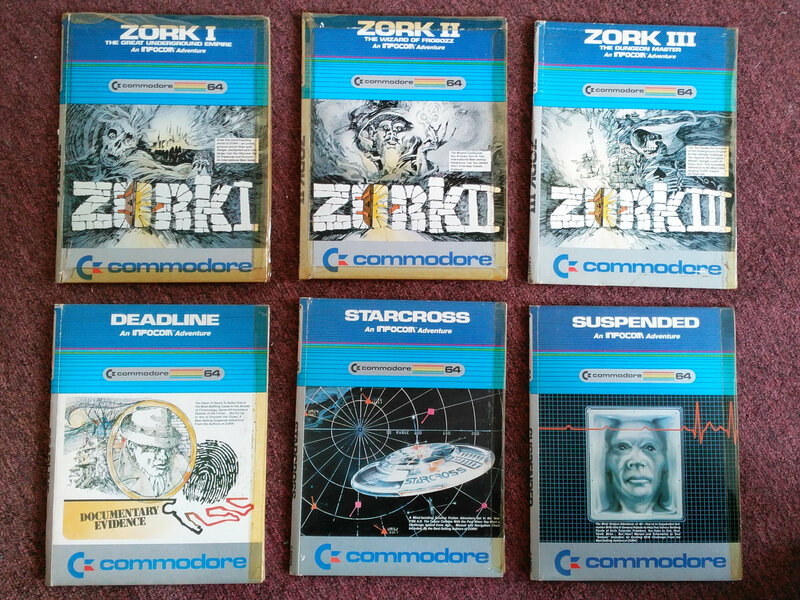 I still use frotz to play my Infocom .z5 files — most of which I acquired legally, by buying The Lost Treasures of Infocom. At their best, those games were art. yeah, I’ve also got the Activision Lost Treasures and “The ___ Collection” packs, among others. Magnetic Scrolls were out of the UK and some of my favorite games, with an amazing parser from back in the day (“full sentence”); look up Guild of Thieves or The Pawn for classic examples, which even include optional static artwork. Quite gorgeous products for mid-late 80s, and easily interpreted. Good luck on the auctions; I’m in Canada, so will refrain. But I also have gotten into FPGA hacking, so see the MiST FPGA board, which has FPGA cores for ST, C64, etc etc, so can jack it into a TV and fire up disk or tape images that way.. or just use a laptop with an emulator. Most of this stuff is all legal (and on archive.org even), as well. History is important, and these text adventures are surely art. Quite good games. Sorry, Ali, all the auctions have ended.